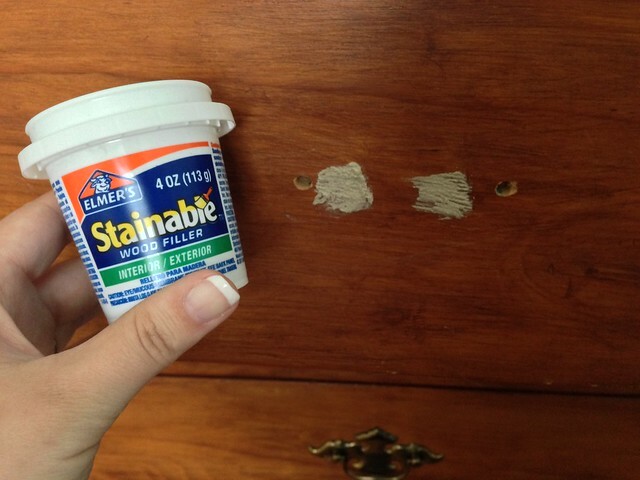 Yesterday I finally finished a project that I’ve been wanting to do for a long time: revamp my dresser! 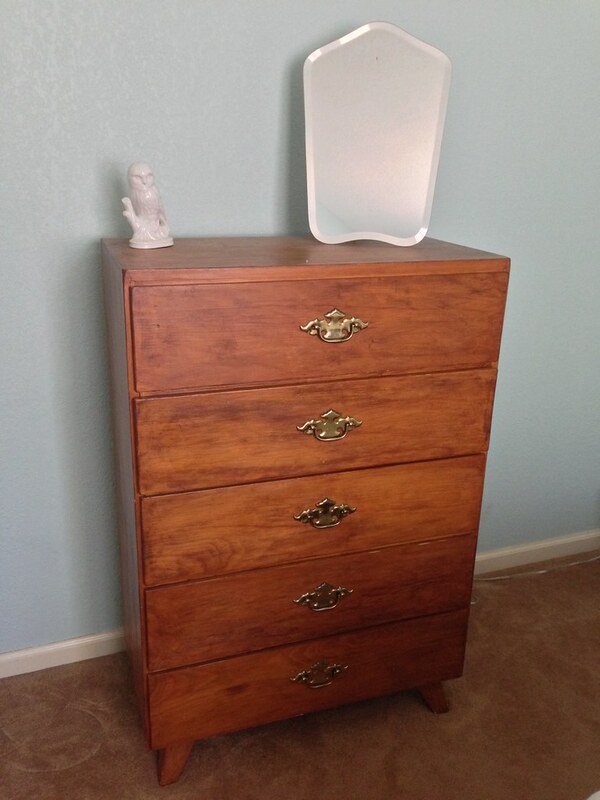 The dresser was given to me by mom and is one of those heirloom pieces passed down to her from my great-grandmother. It was one of the few pieces of furniture I had when I first moved out on my own and has followed me ever since. When my mom acquired it, she put her own touch on it by giving it an antique look and feel. Now that it’s mine, it was my turn to make it my own. 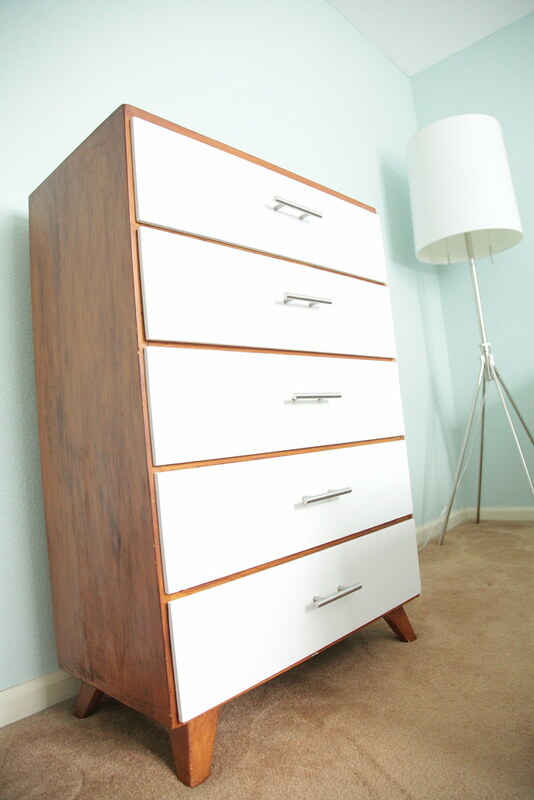 Inspired by West Elm’s Mid-Century Collection, I gave it my own spin by painting the drawers and adding new hardware. I started the project by removing the handles. It turns out the holes my mom was using for her handles were not the original holes, so I had to fill the original ones in with wood filler. I filled them in on both sides and let it dry overnight. 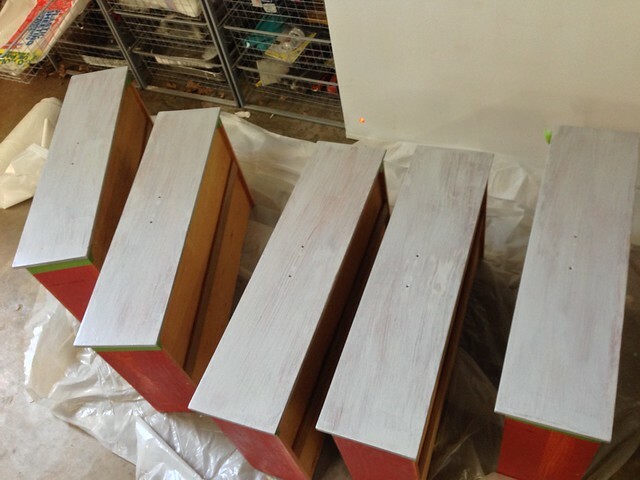 The next day I took the drawers out into the garage where I sanded them down and slapped on a coat of primer. 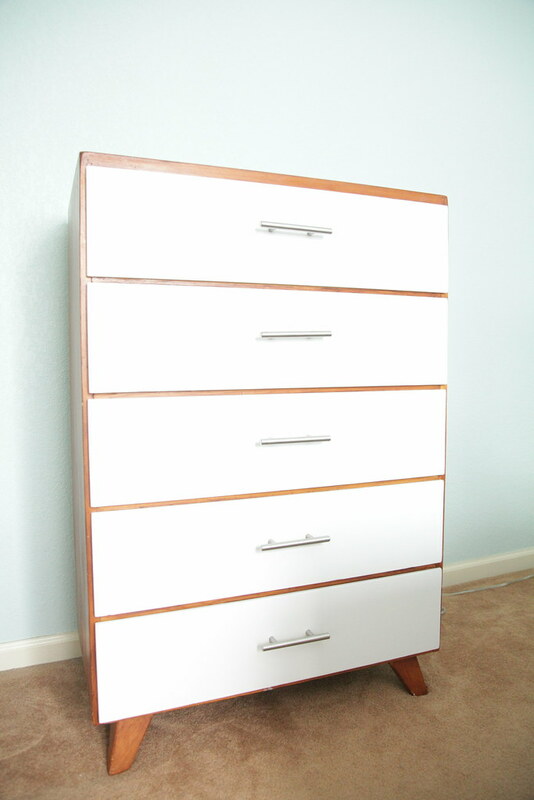 Three coats of semi-gloss white paint and several hours later, Joshua helped me bring the drawers back into the house and put on the handles. I am REALLY happy with how this turned out! I have to admit I am a little jealous that it gets to be in the guest room though, hehe. Hey that’s very cool. Looks modern, yet not still has it’s older feel. 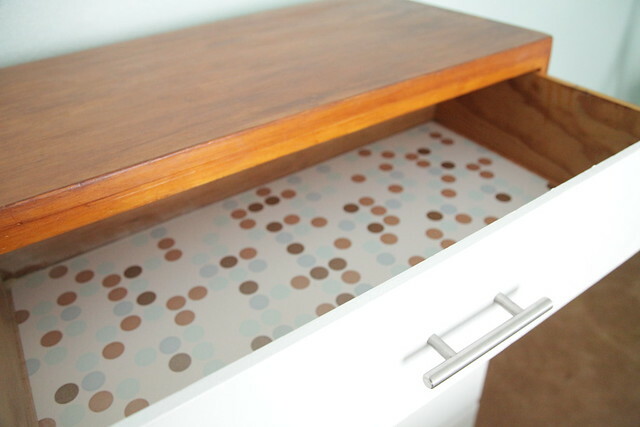 Just wondering why you chose to do only the drawers and not the whole thing? I wanted to do something different. 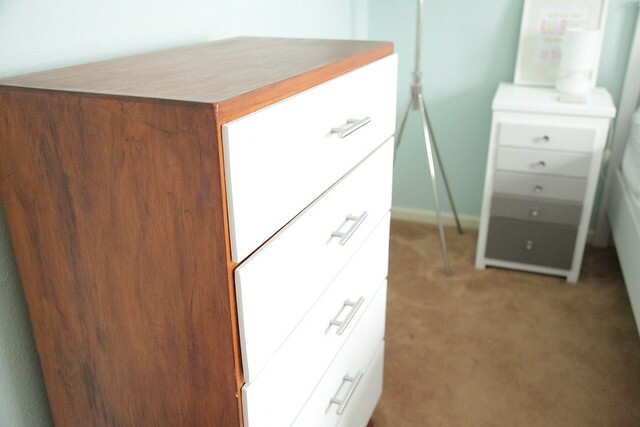 My first instinct was to paint it all white, but I liked the idea of doing either just the frame or just the drawers. I really like this. 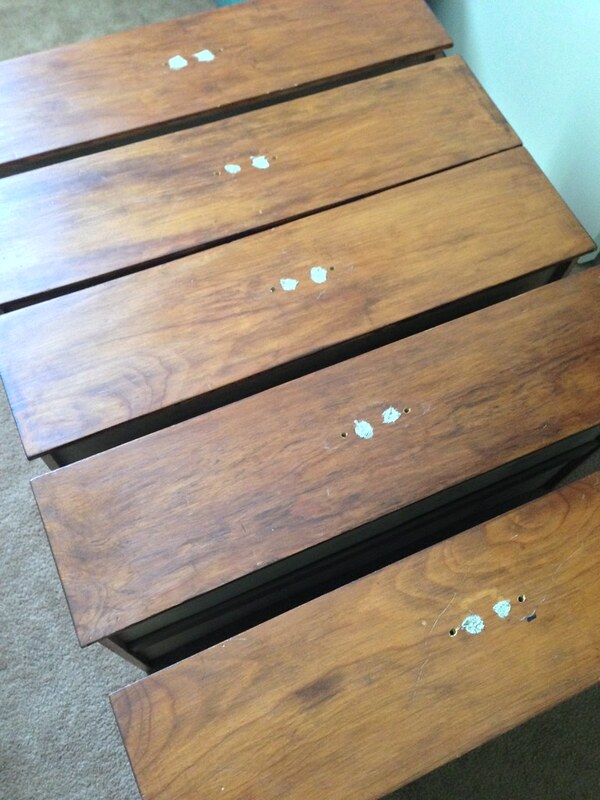 Especially the mox pf old and new as only the drawers have been painted. I have a bookcase of my dad’s thst has been gifted to me for as long as I can remember, in need of an update. May strip it to the original wood and paint or line the shelves only. Thanks for the inspiration! Yeah definitely! It’d be cool to paint the frame of the bookshelf and either give it a pop of color on the back or put some kind of fun pattern/wallpaper on the back. Seen a lot of those on Pinterest lately!